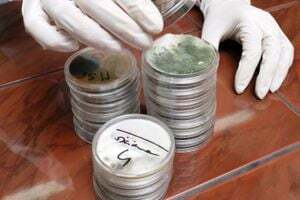 Air Allergen & Mold Testing, Inc. Comment: "Want air quality testing for mold/mildew and, if necessary, determine cause recommend remediation. Comment: My dishwasher leaked onto floor and drywall... (about a year or so ago). thought I dried it out pretty well but am concerned that mold is present due to smell. I really just want to have it tested... the walls, and some floors... to make sure there is not mold growing... I live in a three bedroom townhome which is elevated. Comment: About 2 years ago I had visible black mold on my closet wall. Comment: Mold showing through wall and baseboard in a bathroom. Started to pull baseboard off and saw black mold. Do not know the extent of the mold behind the wall. Comment: Mold on outside of apartment doorway and also in storage room. Tampa Mold & Asbestos Companies are rated 4.83 out of 5 based on 1,003 reviews of 26 pros. Not Looking for Mold & Asbestos Services Contractors in Tampa, FL?